A beautiful set of colors expertly curated and optimized for “tv friendliness” and feature animation. 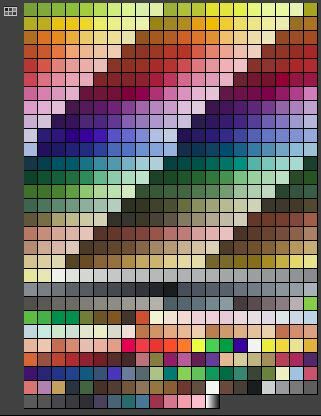 These colors allow you to paint your work in Flash in a way that not only do they not bleed on screens but also require no color correction to make the production “tv friendly”. The color pallate itself is based on harmonies produced with assistance from the Toon Titan (proper) software, and over 15 years of research in cartoon color as use in animation from early 70′ all the way up modern times. The have also been mixed and calculated beautiful combinations without bleeding or “pixel burn”. I’ve used this tool privately for years as a “trade secret tool” and am now making it available to the public for other who may find it as useful as I have. This is pallete 1 of 3 in the series. 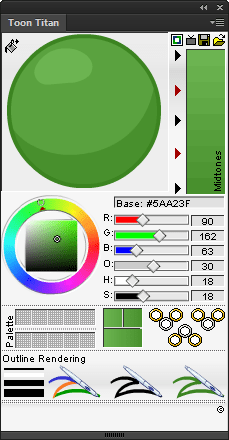 The color palletes are built for For Adobe Flash/Animate. They may work on other tools that support the CLR format. But compatibility or support on other tools is not guaranteed. 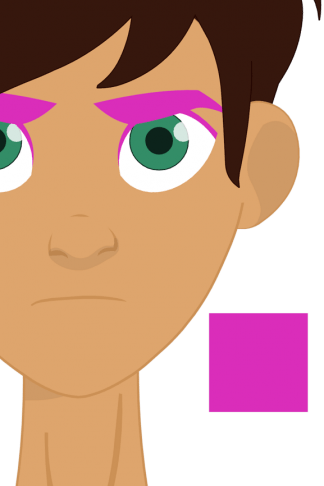 Toon Titan was created specifically to address the needs of animators and cartoonists who are looking for an easy way to not only increase their speed and efficiency in Flash, but at the same time allow for higher, broadcast & feature film quality artwork to be produced at a fraction of the time. Since it’s release, Toon Titan has become an industry standard and is currently in use by almost every mayor studio or network including Disney, Cartoon Network, and Nickelodeon. Toon Titan is a one of a kind, cross platform plug-in for Flash. It is compatible with all versions of Adobe Flash 8 and above, including the all new cs6 and CC editions. It will also run on both Mac as well as Windows environment.It provides a 180 degree improvement to the work-flow and allows for higher visual quality artwork to be produced at a significant fraction of the time it would normally take. Toon Titans unique interface and work flow is intuitive and fun. You’ll spend your time being creative rather than tweaking or adjusting settings. In the commercial animation industry, time is money. Even if you were to outsource your ink and pain services or hire a colorist at “minimum wage” you are still looking at thousands of dollars and countless hours spent performing this task. Toon Titan takes a process that used to take days or even weeks to accomplish and reduces it down to a matter of hours or minutes without sacrificing quality. In fact it just may improve it. Because the work-flow is so greatly improved, such time and money can be better put towards other areas of your production. As a result Toon Titan helps improve the overall quality of your production well beyond ink & paint, cel shading, and color management. 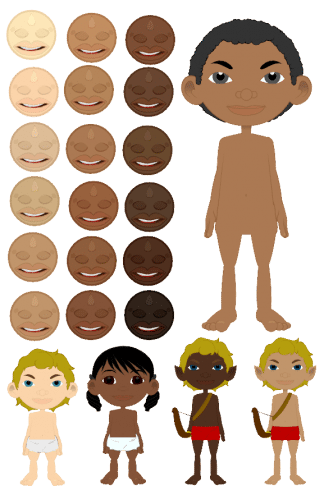 This pack of 18 skin presets are made so that you can quickly and effortlessly color your render style compatible character using Toon Titans color mapping standard. It’s no secret that CTAs coloring system is pretty terrible. These stylizers will enhance the way you color your characters. Instead of fiddling with CTAs terrible render style sliders, you select the color that best matches your desired look. 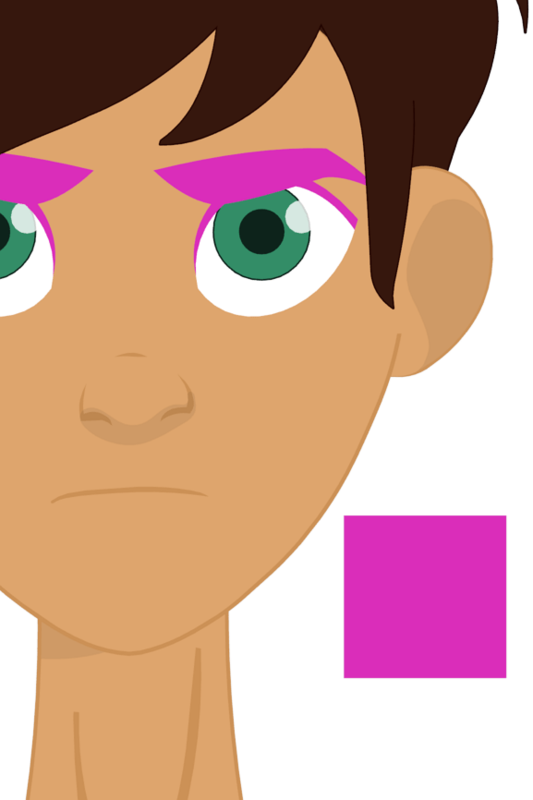 Apply the color to your character and instantly your character takes on that predefined color scheme. If you need to further tweak your characters skin color just modify the stylizers color using that adjustment sliders, and then apply. 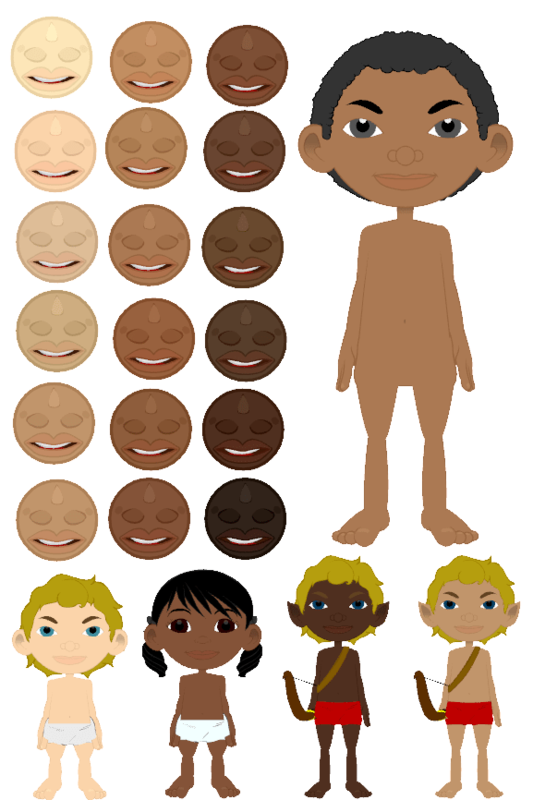 If later on your character color scheme breaks, (it always does) you can quickly reapply the skin color without affecting the colors used in other items, like shoes, shirts, pants etc.